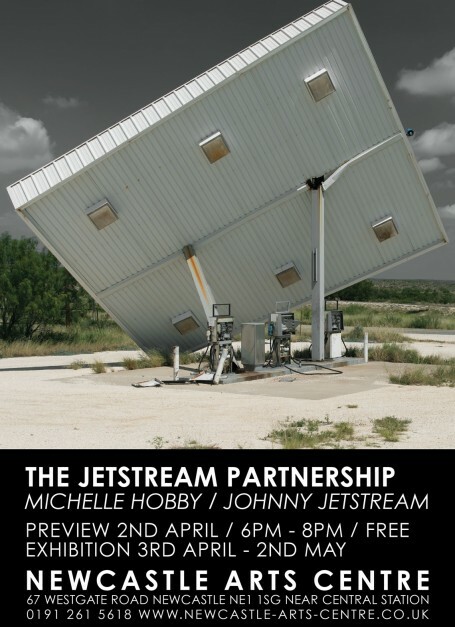 Both artists Johnny Jetstream and Michelle Hobby have been practicing and exhibiting art since 1999. A photograph is a ‘now’ that can never be recaptured. This complex relationship between memory, self and photography is a key question underpinning the work of Michelle Hobby (MFA). Michelle has investigated this internal relationship in a variety of ways. In a two-year project entitled; ‘Transmutation’, Michelle documented a decaying fire-station in Newcastle Upon Tyne, seeking to absent memory – and traditional perceptions of photography from the photographic facsimiles. In other projects, she has tried to capture the poignancy of lost memories in photographs of abandoned and preserved spaces, from the decrepitude of a ‘ghost town’ in rural California, to the reconstructed grandeur of the Palace of Versailles. Michelle is interested in ideas and theories of time, space and memory. However, the themes of Michelle’s work – loss, abandonment and the representation of space and memory remain.